The stress of relocating to a new place from a place where one was well settled can be quite stressful. Right from packing each and every item, taking care that nothing gets damaged or broken to loading and unloading and finally unpacking everything in the most efficient manner can turn out to be a job filled with a lot of tensions for the home or office owners planning to shift. Instead of taking everything on one own shoulders, it is always better to engage professional Movers Packers service providers in Faridabad. This way, one can pay attention to other important tasks that one needs to focus besides taking care of packing and unpacking tasks. Excellent relocation services our offered by leading Packers and Movers in Faridabad by professionals in the field. We offer packing, loading, unloading and unpacking services to make relocation hassle free. 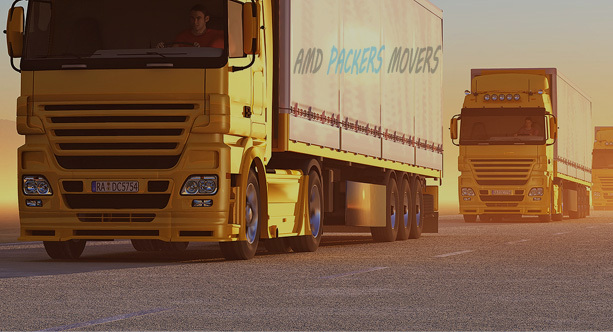 AMD Packers and Movers company is amongst the best of the packing and moving solution providers in and around Faridabad. The company is known for the most efficient translocation of your products with proper care and acute professionalism. Moving to a new location entails an in depth job where each and every item is categorized and packed separately in cartons. In case of delicate or fragile items, bubble wrap is used so that items are transported without any breakage. Most people simply feel bogged down with so much pressure as there are a hundred things that needs to be focused on when moving to a new location. One also needs to identify and remove all those things that one needs to leave behind. One needs to call company people for AC, TV, telephone, Internet connection removal and much more. Many packers and movers offer specialized services in Faridabad, helping to remove electrical appliances and gadgets removal as they have professionals for such jobs. They also help in fitting electric gadgets and equipments. For this, they charge a little extra but it saves a lot of headache of calling upon different company service executives and managing their jobs. Faridabad Movers Packers are available just a phone call away and can help you greatly in offering high end relocation solutions in Faridabad.